C-FJPX gets some gas in the sunshine. 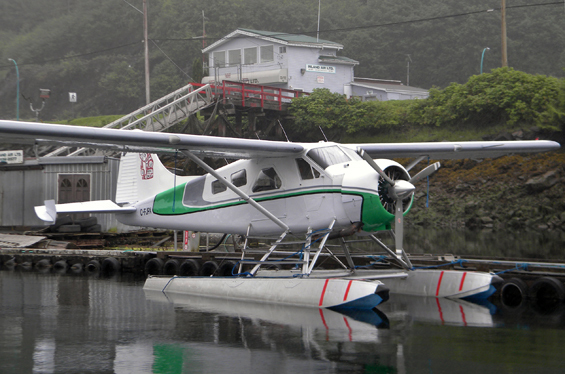 C-FJPX at Seal Cove, with attractive new titles. Tail artwork commissioned from local artist. C-FJPX heading out once again. 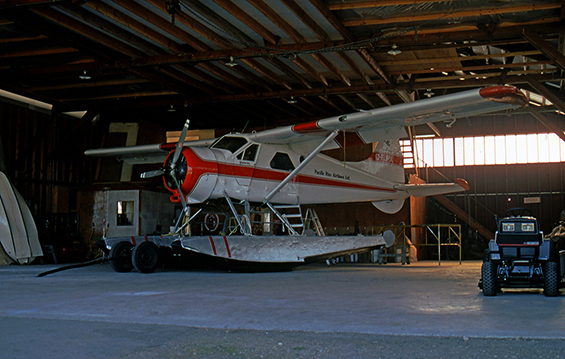 C-FJPX at Inland Air dock, Prince Rupert, BC. 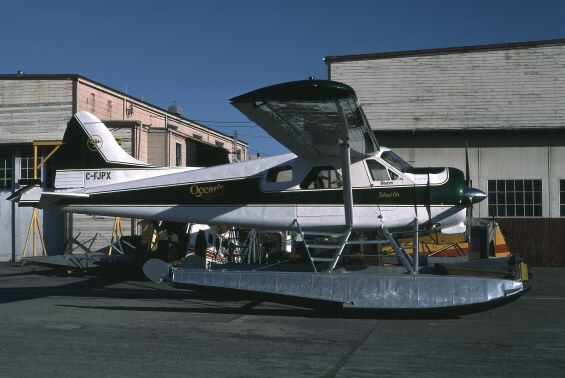 C-FJPX marked "Ocean's" with small Island Air titles. 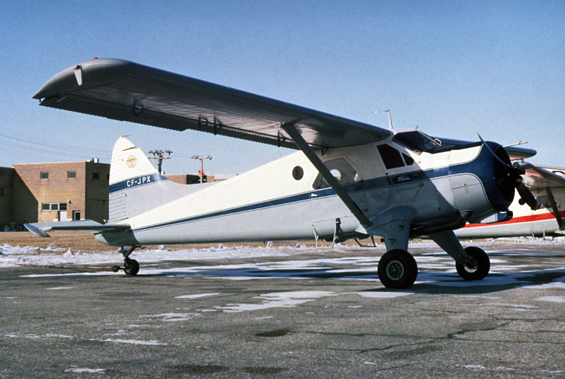 C-FJPX when with Pacific Rim. 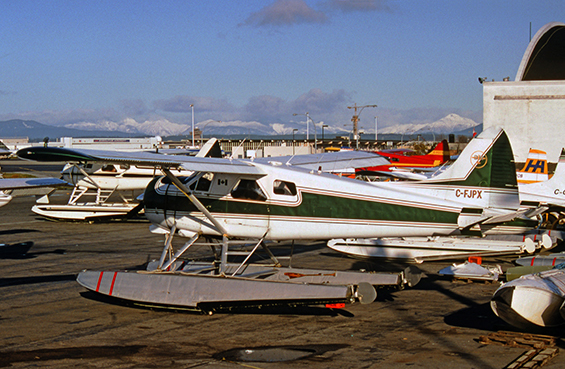 C-FJPX of McCully Aviation at the Airspan sea plane base (SPB), Vancouver Habour east. 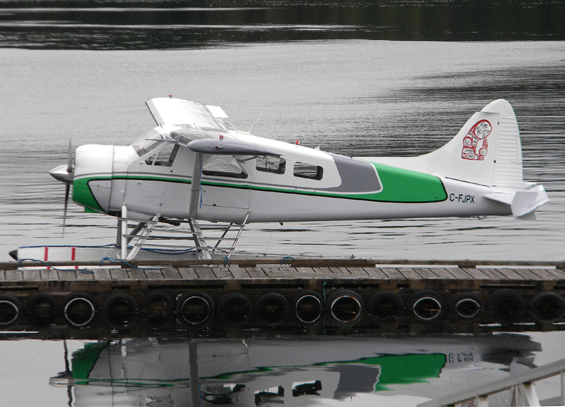 CF-JPX in earlier markings at Port Alberni, BC. CF-JPX at Downsview - CYZD. CF-JPX doing a demo at the Canadian National Exhibition. CF-JPX bobs at the mooring bouy, Toronto Island. • CF-JPX de Havilland Canada, Downsview, ON. Demonstrator. Delivered 10-May-1957. • CF-JPX Wheeler Northland Airways, St. Jean, QC. Circa 1967-until canx prior to Aug 1970. Accident: Lake Rapide, QC, Lat 50.18N. Long 6625W. 08-Oct-1967. The right wing tip tank was empty during the take off attempt. 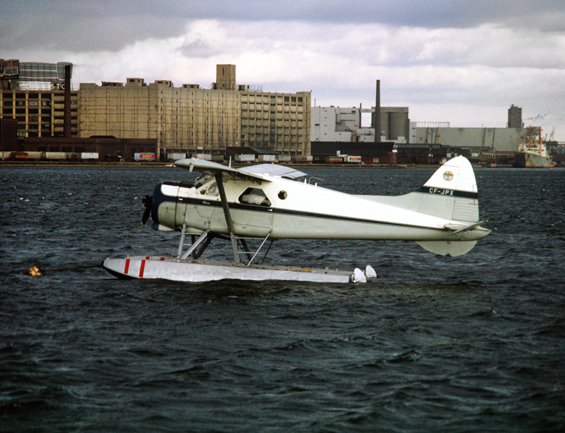 The pilot permitted the left wing to make contact with the water surface during the take off run. A violent contact with the surface by the right wing immediately after the initial contact followed and resulted in substantial damage to the right wing. It was considered pilot error rather than he reported weather conditions and winds were not considered a factor in the incident. 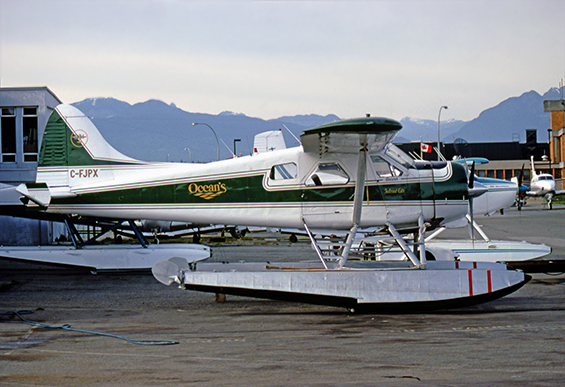 • CF-JPX Peace Navigation & Transport Co., Vancouver, BC. 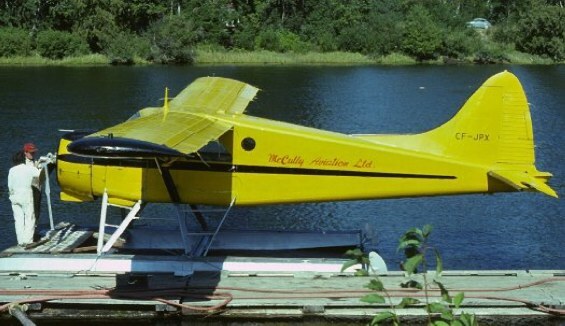 Temp regn prior to 1970 Canx prior to Certificate of Airworthiness renewal dated 17-Apl-1973. 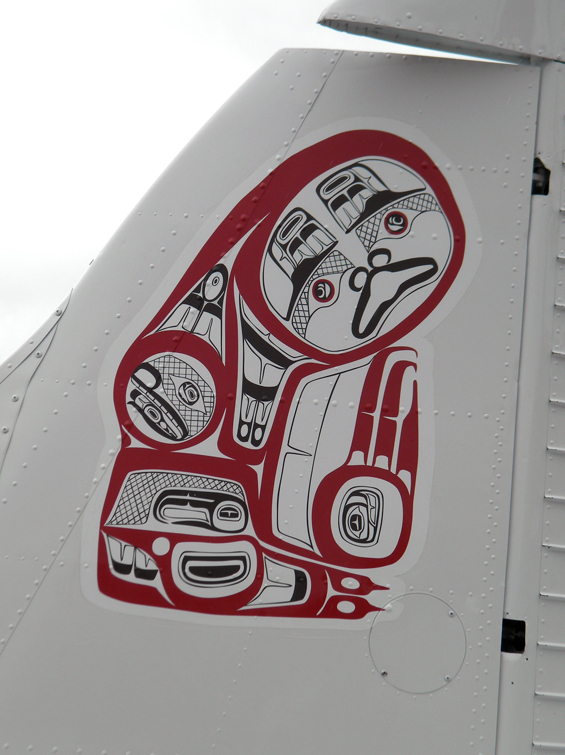 • CF-JPX Thunderbird Airlines Ltd., Prince George, BC. Regd prior to of a renewal dated 17-Apl-1973. 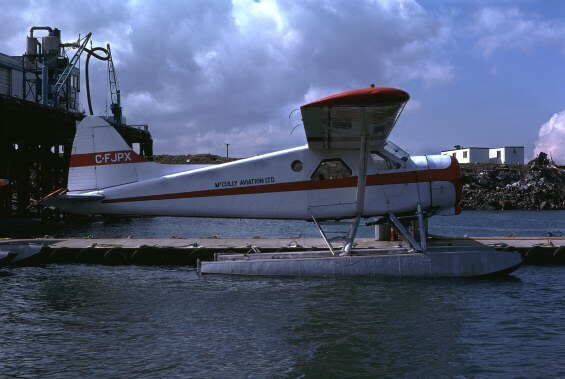 Canx prior to Certificate of Airworthiness renewal dated 17-Apr-1974. • CF-JPX With Arthur Fecteau Air Transport about this time but dates unknown. 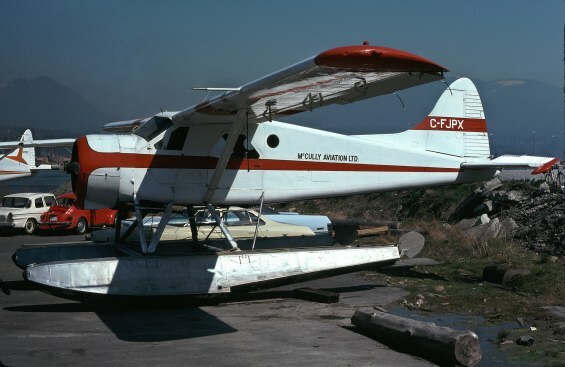 • CF-JPX McCully Aviation Ltd., Port Alberni, BC. Regd prior to Certificate of Airworthiness renewal dated 17-Apl-1974. Canx 1982. • C-FJPX Pacific Rim Airlines Ltd., Port Alberni, BC. Regd 28-Apr-1982. Canx 07-Nov-1988. Accident: Ahousat BC Lat 49.17N, Long 126.04W. 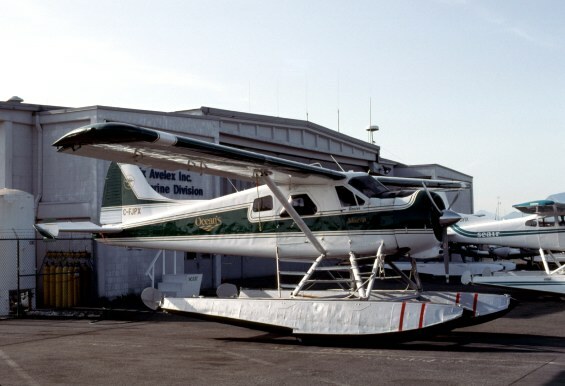 05-Oct-1987 The pilot planned to step-taxi from the dock to the take-off area; the line of taxiing was to be between a marker buoy on the left and a boat on the right. 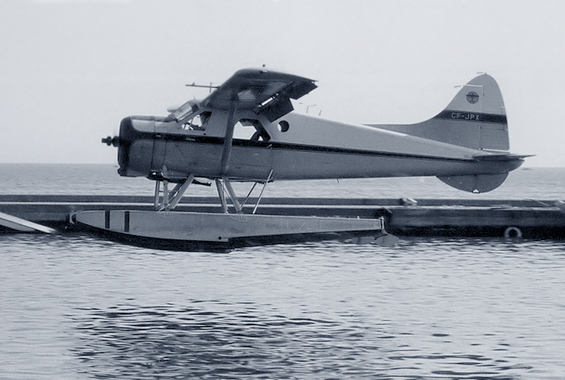 After take-off power was applied and with the water rudders up, the aircraft started to swing to the left. The pilot applied full right rudder, but the aircraft continued to swing, so the pilot closed the throttle. The aircraft was coming off the step when it struck the buoy, and a large hole was torn in the left float. After the pilot and passengers evacuated the aircraft, it rolled over and sank to the floats. The wind was light at the time of the occurrence. No injuries were recorded. 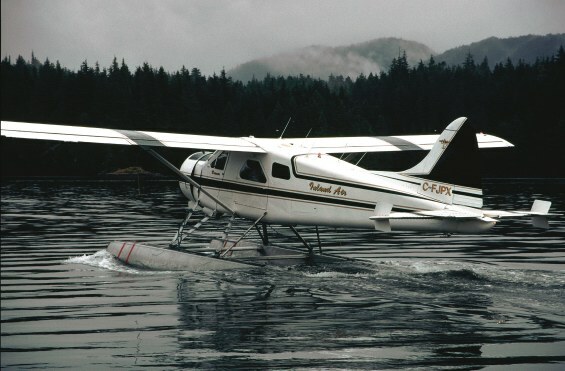 • C-FJPX Inland Air Charters Ltd., Prince Rupert, BC. Regd 07-Nov-1988. Note: Wore Ocean’s markings with small Island Air markings. Circa Feb-1989 to Circa May-1993. 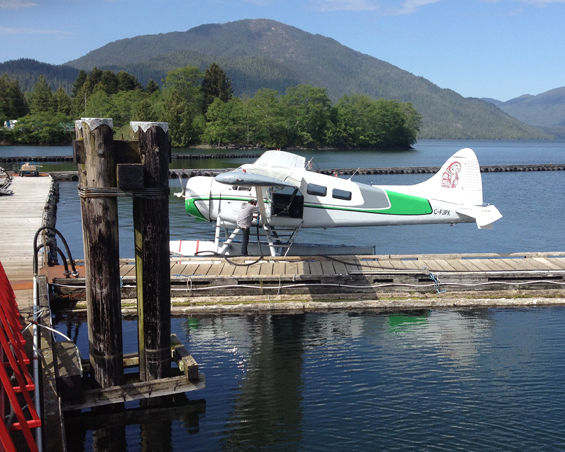 • C-FJPX Inland Air Charters Ltd., Prince Rupert, BC. Re-regd 17-May-2011.